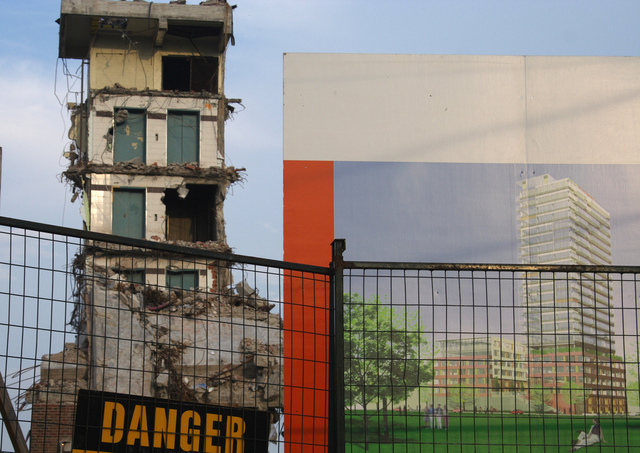 The subject on everyone’s mind at Spacing this morning is Regent Park’s revitalization project. Our favourite public space newswire will be featuring a series of documentaries on YouTube called Regent Park TV, a project by the Regent Park Focus Youth Media Arts Centre. The Toronto Public Space Committee will be screening another series on Regent Park at the Toronto Free Gallery on Thursday, December 14 @ 7:30. “You better be going to school this morning, or I’m taking away car car privileges for the next year, mister!”, the province tells teens after passing a law to discourage students from dropping out of high school. Any student who leaves school before graduating or turning 18 risks losing their driver’s licence, making it difficult to find work (or have any kind of fun if you live in the suburbs). The All Saints Anglican church at Dundas East and Sherbourne, which has housed a bustling homeless shelter for over 30 years, is getting a makeover to include more God with the services they already offer like needle exchange, condom distribution, pastoral counselling, Internet access, washrooms and a library. Reverend Jeannie Loughrey says that the community centre needs to be more faith-based, it is a church after all, but local critics agrue that the change will do little to help Toronto’s homeless community. The Toronto International Film Festival Group released a list of the top 10 Canadian films of 2006, which includes Trailer Park Boys: The Movie and Sarah Polley’s Away From Her. Many are shocked that box-office success Bon Cop, Bad Cop didn’t get a nod, despite the amount of publicity it received when released. Well, our Matthew Kumar didn’t like it, but Jill Murray did. Who knows? Photo courtesy of Seeing Is on Flickr.